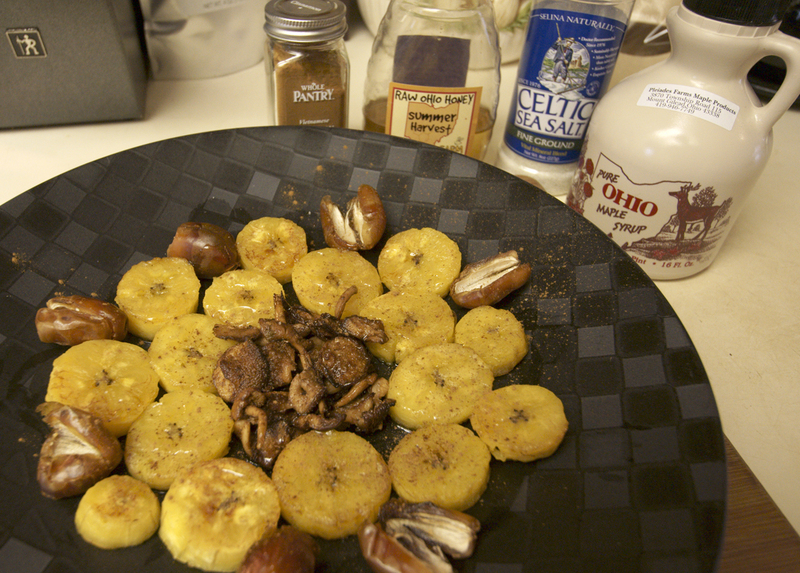 Slice plantains into 1/4” thick slices and sauté in 2-3 tbsp of Coconut Oil 7-10 minutes. Make sure to flip halfway through. 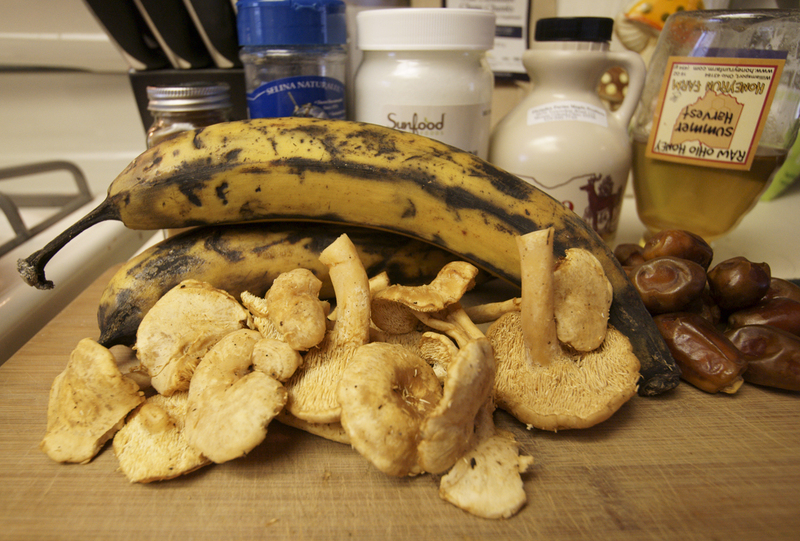 Slice Hedgehog mushrooms in half and repeat same as with plantain cooking. 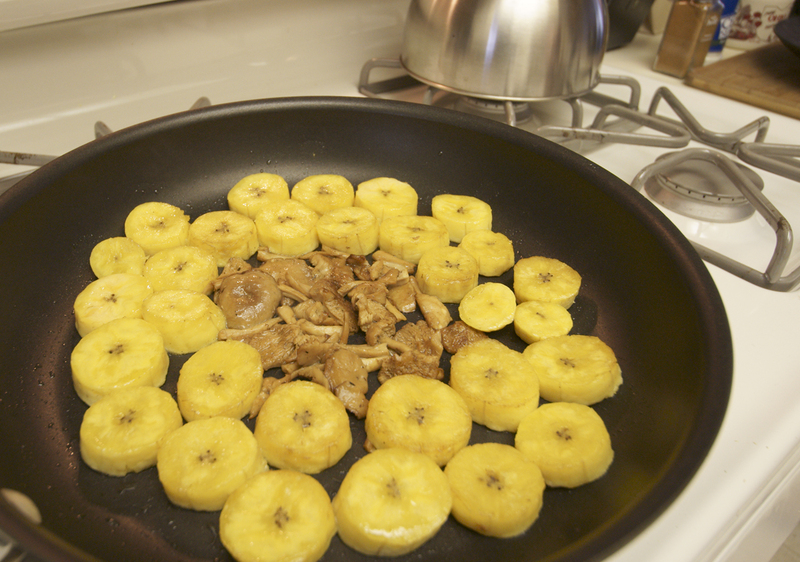 Drain oil off mushrooms and plantains in strainer if necessary. Slice Dates in half, serve all together nicely with Sea Salt, Cinnamon, Black Pepper and Tumeric over entire dish. Drizzle 1-2 tbsp of Maple Syrup or Honey over entire dish. Savor a tasty breakfast or evening dessert! 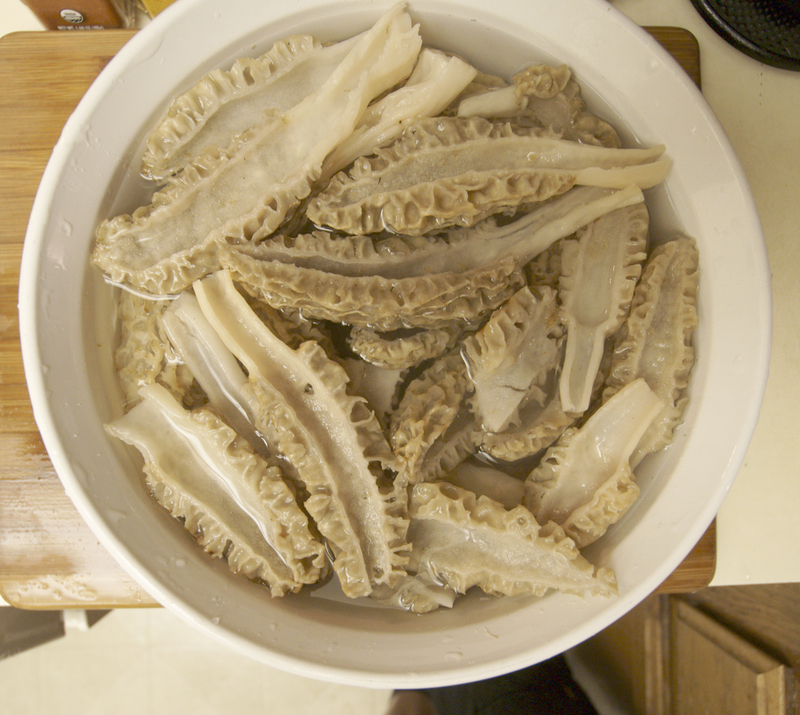 Prepare Wood ear mushrooms by slicing off stems and slicing lengthwise slivers. Finely chop vegetables and ginger root and add to 4-5 cups of boiling water. Keep Miso, Wood ear mushrooms, Spices, Chives, Lemon off to the side. Bring down water to medium-low heat and cook vegetables and ginger root 8-12 minutes. 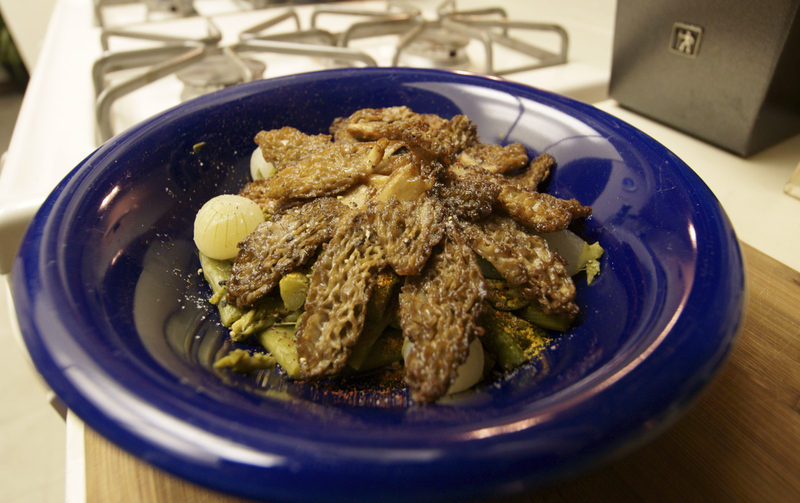 Once vegetables are cooked close to desired tenderness, add woodear mushrooms and cook 7-10 minutes at medium simmer. 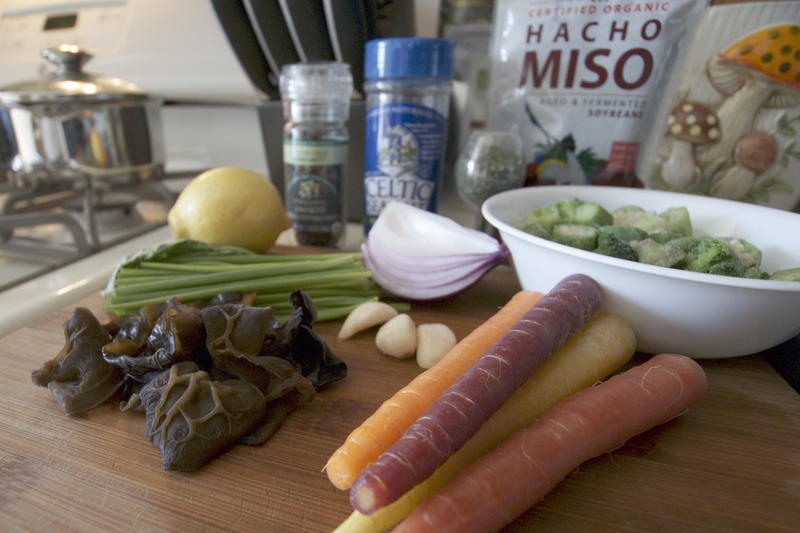 Prepare 2-3 tbsp of Miso from hot broth on side to ensure no chunks of Miso are in soup. Stir in Miso, Chives, Celtic Sea Salt, Kelp Granules, Black Pepper, and Tumeric in the very last 2-3 minutes of cooking. 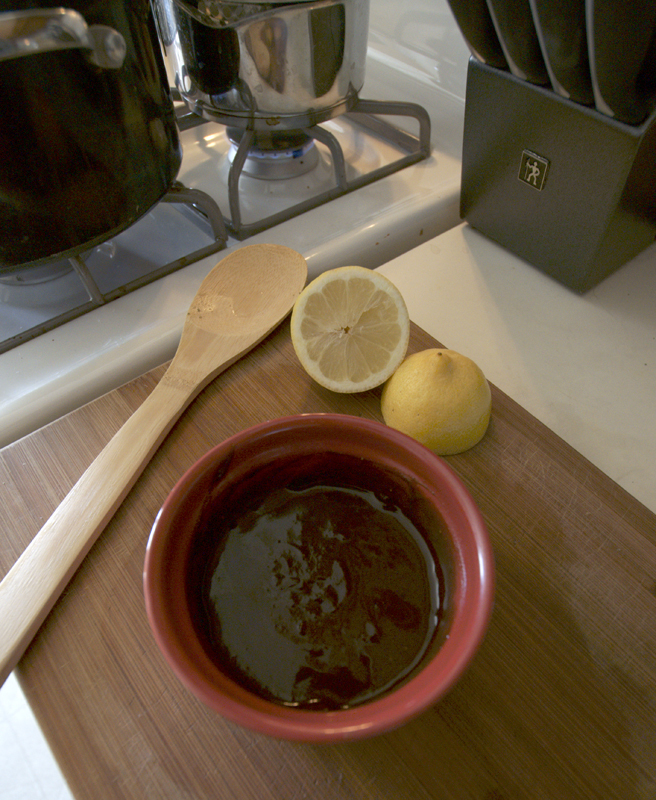 Serve soup and slice lemon in half and squeeze juice of one half overtop each bowl served. 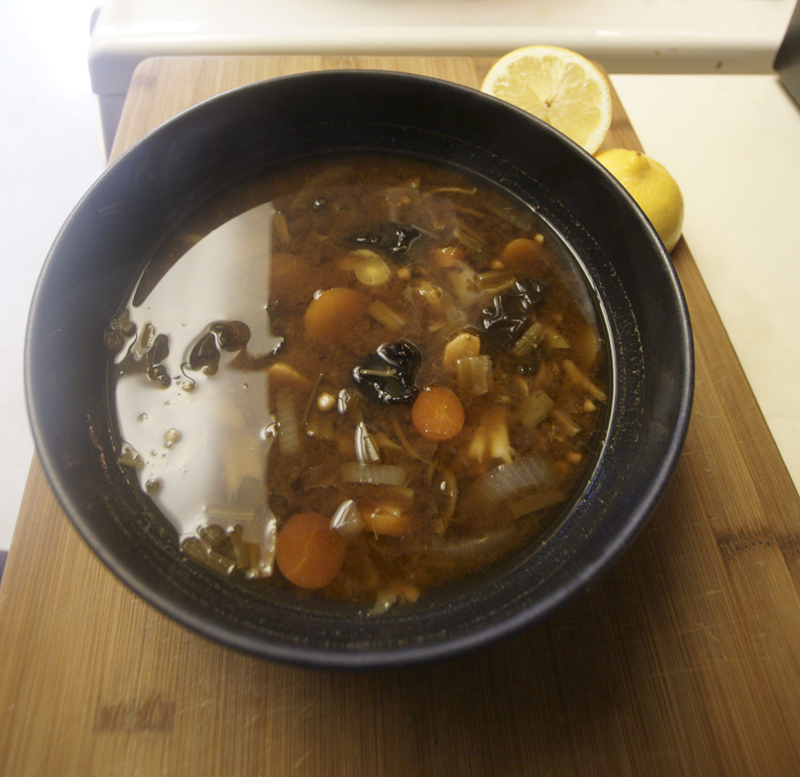 Immerse into a healthy and rich mushroom veggie soup! 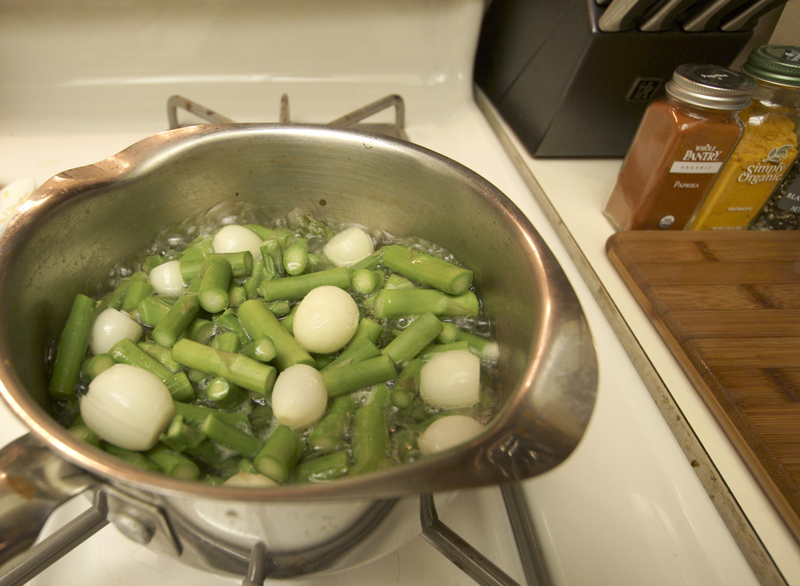 Prep asparagus and pear onions first and steam for 15-30 minutes until desired softness. 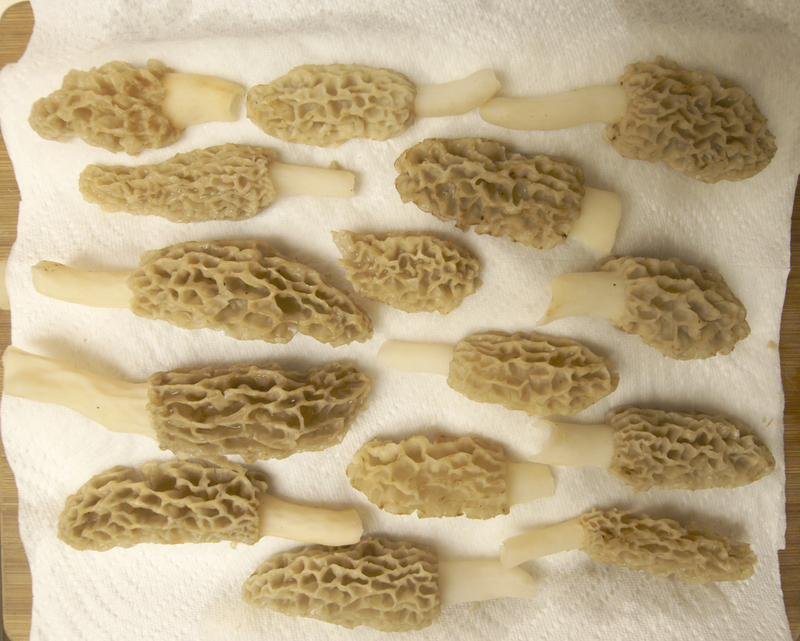 Trim morel ends and soak morels in cold salt water for 10-45 minutes(depending on how buggy and gritty). Rinse thoroughly, slice in half lengthwise, and dry with clean paper towels. 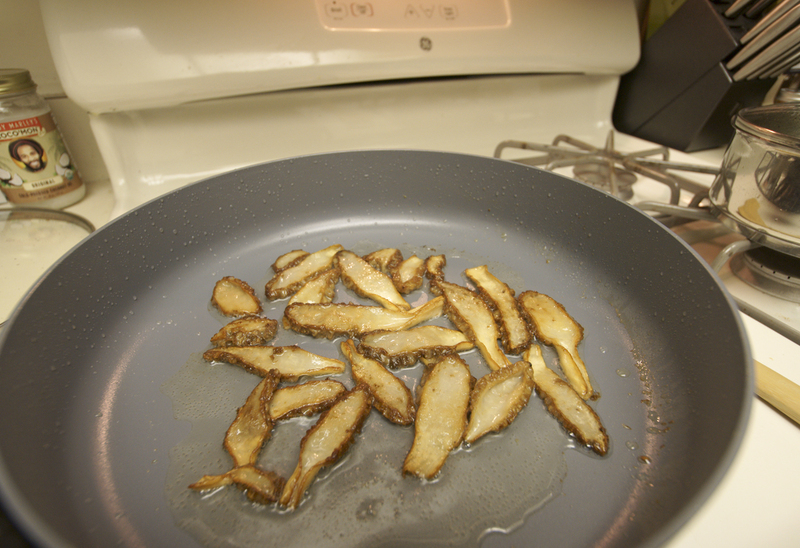 Sauté in 2-3 tbsp of coconut oil 5-10 minutes each side until crisp at medium heat until edges are golden. Once finished cooking, add Sea Salt, Parika, Black Pepper and Tumeric. 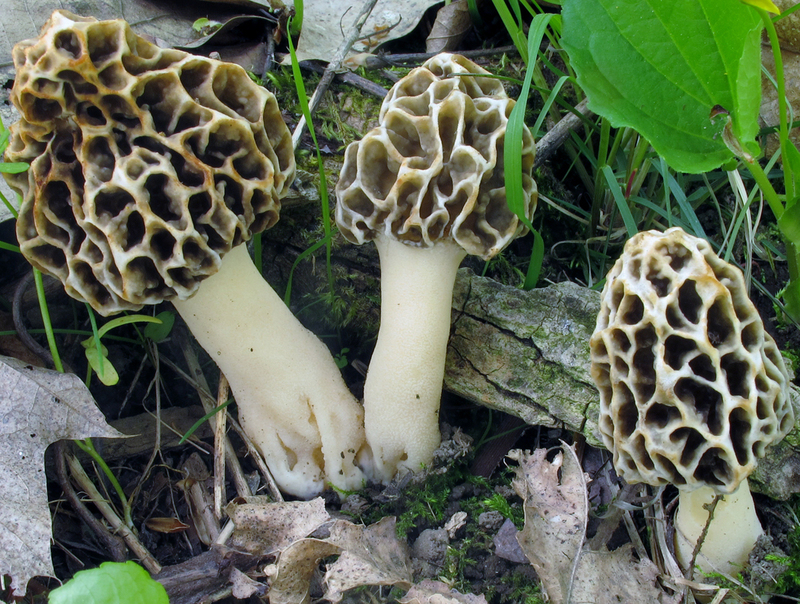 Drain oil off mushrooms and in strainer and or on dry paper towels. Serve mushrooms on bed of asparagus and pearl onions. Savor the taste of spring delights! 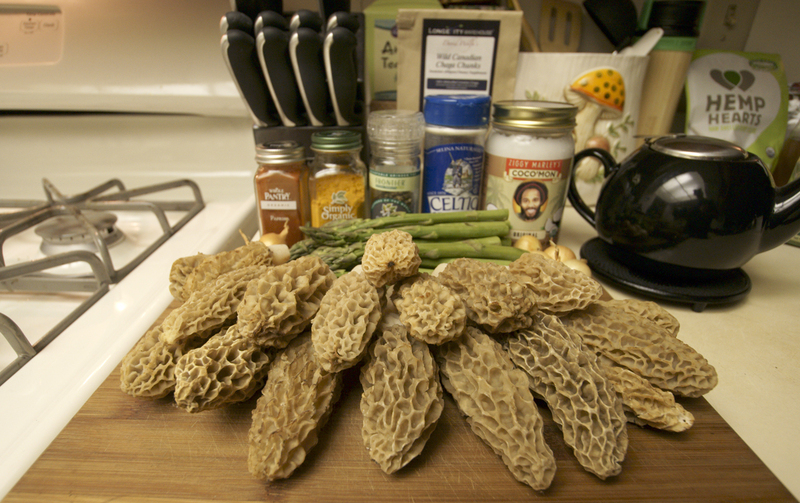 My (and my mothers) recipe for morels is pretty standard. 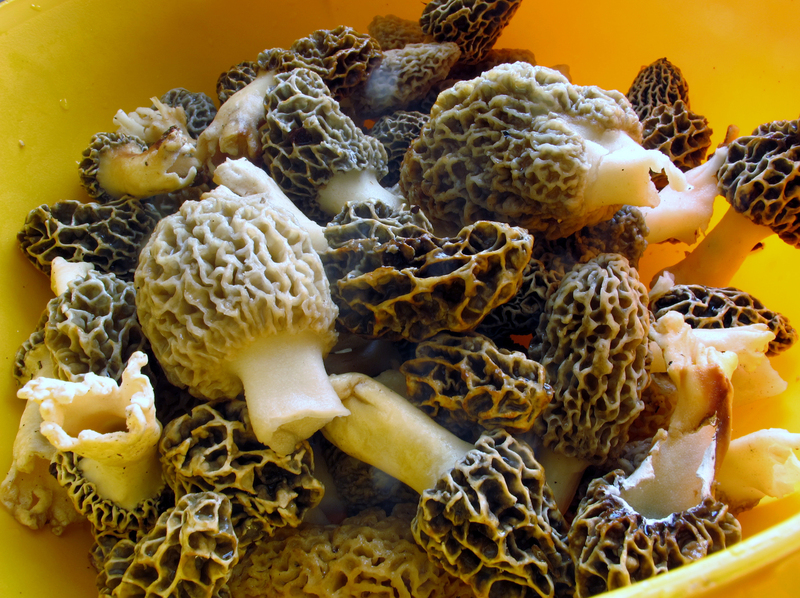 Halve the morels vertically and soak briefly in salted water. Rinse and put them in a colander. Then onto paper towels. Then lightly coat them with flour. Fry on both sides in an oil butter mix. Almost crisp on the outside, chewy on the inside. Yumm.